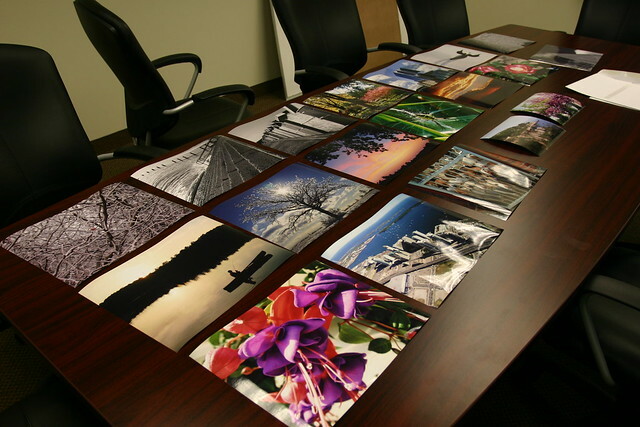 There are many benefits to creating brochures for your business. It showcases your product or service range to potential customers, which means they can have a look at what it is you have to offer at a glance and in their own time. They also show that your business carries credibility. All major businesses will have their own brochures, it proves professionalism and belief in what you do. Brochures also save time by outlining all the information about your company in one publication instead of having to write personal letters to all your potential customers or clients. You can also use them as an advertising and marketing tool as you can use them to explain how your business works and the prospects your business can offer anyone who wishes to work with you. However printing your brochures should not be taken lightly, it requires much thought and consideration to detail to create an effective brochure. As mentioned before, there are many different ways you can use your brochure but to create a really effective one you should really hone in on what it is you are trying to say. It needs to be clear as to what you want the reader to do with the information you put across. Do you want them to buy a product, get in contact, arrange a meeting, prove your credibility, advertise a promotion? You need to make sure your brochure is focused on the purpose of your company so it is clear to your reader. You should also think about how it will be used as a marketing tool and how you will use it to generate sales. Also take into consideration who your target audience are, what they will want to know and find interesting. The design of your brochure is really important. It is the first thing that the reader will notice when they pick it up. Make sure the design reflects your company’s personality, for example if you are a jewellery shop a brochure with cartoons of clowns and rainbows will not be appropriate. Usually, keeping it simple is the best way to go. A good way to get design ideas is to look at your competitors brochures and decide what you like and don’t like. If you are a small business you may not have the capacity to hire a designer but there are many brochure printing services which can offer design ideas and templates. You need to consider the time frame you have to create your brochures. If you need them fast there are many quick brochure printing services companies who will be able to print and deliver your brochures within a few days. This is great if you have a meeting or an event arranged at last minute and you need some marketing materials to take with you. However, if you do have brochures printed last minute make sure you proofread thoroughly to avoid any embarrassing mistakes. Spelling errors and poor grammar printed in a professional publication is enough to break a deal as it looks lazy and sloppy, insinuating that you will conduct your business in a similar manner. Brochures are a great tool to use in business but you must make sure you get it right. The design, content and company you choose to do the work are all important factors. Keep your brochure focused to your service and target audience, use the design to represent your business and your readers will know you are a credible business with good intentions. Jennifer Doherty is a freelance writer and knows well to entertain readers through writing. She writes regularly on various topics for a number of websites, blogs and magazines. During her spare time she enjoys gardening and classic computer games.